SARASOTA, FLORIDA, April 5, 2019 – Builds by Medallion Home are poised to draw more attention from prospective buyers of Bradenton‒Sarasota homes for sale. Bringing on this market strength, Medallion took the most awards in the 2019 Sarasota Manatee Parade of Homes (POH) held February 16 to March 10. Medallion clinched a total of 40 POH citations in the award category standards for single-family and multifamily homes in the annual event (best in floor plan, curb appeal, kitchen, master suite, and architectural detail). With its medal haul, this Sarasota-based developer-builder chalked up seven overall titles in the 32 categories for single-family homes of the showcase of the Building Industry Association (BIA) of Sarasota and Manatee counties. 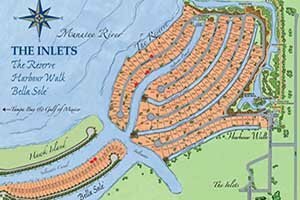 Three of these outstanding home models are notably in this builder’s neighborhoods at the boating community of the Inlets. Two of these award-winners are in Harbour Walk at this Bradenton development adjacent to Manatee River, while another is in the neighborhood of the Reserve at the Inlets. The winner in the latter is Medallion’s model Regatta II, a pool home featuring, 3 bedrooms, a den, a bonus room, 4.5 baths, and a three-car garage. Coming furnished, it is priced at $2.7 million. One of the best overall winners in Harbour Walk at the Inlets is a furnished Regatta series, too, with its price quote at $1.3 million. Custom-designed, it has a floor area of 4,075 square feet featuring four bedrooms, four baths, a den and a four-car garage. Its Mainsail II design gave Medallion another win for Harbour Walk. With a price quote of $1.55 million, it is also furnished and features three bedrooms, a den/office within a floor area of about 3,000 square feet. 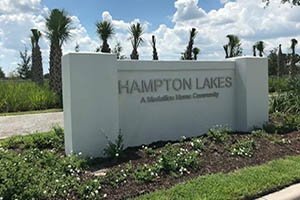 Medallion’s new community of Hampton Lakes in Sarasota also shared the limelight of this year’s POH. The star here came in the Grand Santa Maria model featuring an open floor plan measuring a total of 3,922 square feet designed with three bedrooms, three baths and a half-bath. This build is priced starting from the low $500s. A model home in another new Medallion community, Cross Creek in Parrish, also took POH overall honors—the Harbour design with a starting price in the mid-$200s. Its floor plan of 2,254 square feet is set for three bedrooms and three baths. Medallion’s boutique community of Waverley in south Sarasota was likewise amongst POH’s overall winners, with its 3,823-square-foot Santa Maria design in the parade’s elite tally. This model is priced starting from the low $400s and designed with three bedrooms and three baths, plus a three-car garage. The custom-built Grenada in Legends Bay rounds out the top honors Medallion achieved in the 2019 Sarasota-Manatee builders’ extravaganza. This residence draws the interest of prospective buyers of Bradenton homes for sale with its attractive pricing starting from the $300s and an impressive layout of two bedrooms and two baths within a floor area of 2,725 square feet. Medallion communities notably drew increased market attention during the annual home showcase with its various incentives, such as its free pool promo. Prime lot availability in this builder’s new communities likewise contributed in bringing in visitors to its entries in this year’s home showcase. Moving forward this year, Medallion stands to generate even more excitement to the Bradenton real estate market. 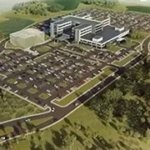 In December last year, a court ruling paved the way for Medallion to start development of its Aqua by the Bay mixed-use development in south Bradenton. Located on 529 acres adjacent north of Legends Bay, this project which includes 2,300 multi-family homes and 500 single family homes has already been approved by the Manatee County Commission in spite of local environmentalists’ opposition.